Fast Travel : A Speedrun Journey is an oldschool platformer. 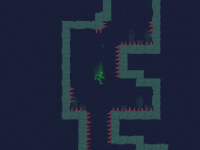 Avoid deadly traps in an old fashioned world populated by big pixels and glitches. Jump, Run, Wall-Jump, Slide, to get the best score and reach the top of the leaderboard ! 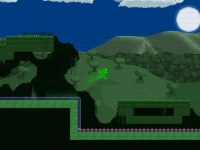 New level, jump modifications, and WATER update ! We have been working slowly during the last months, but we have a few things to show you ! As you can see, this is more of an underground/underwater level. Speaking of water, we also added an animated distorsion effect to it (as shown in the previous screenshots). 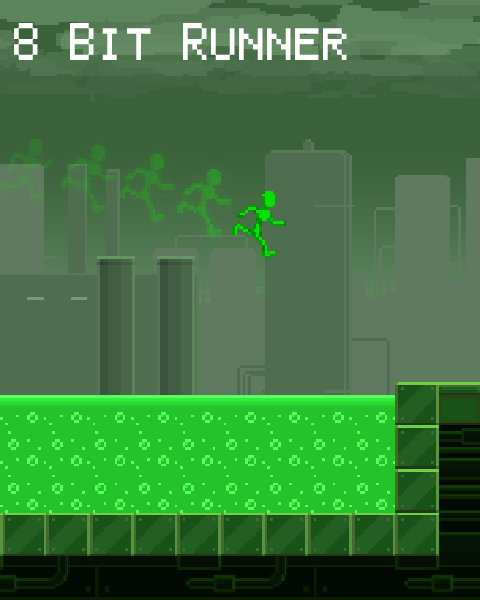 We are planning on changing the name of the game, but we still aren't sure what it will be, it has to be something that feels retro, and that also reminds of the speedrun mechanics that we are using. We are adding animated deco elements to the Nature world. Website, trailer, and a new public demo. Our website is now online! And a new public demo is also available. A new update is available, introducing the options menu, and a couple of funny features. The test version of the "new first level" is available ! 8 Levels availables, 2 Worlds (Nature and Industrial). Unzip, open the folder you just unzipped, and start "8bitrunner-demo.exe"
Looks good, but one thing that I found very frustrating is that if you are pushing the down key before you are on a platform it doesn't go into the slide. This made it really hard to determine if you were actually pressing the key in the split second that you had to push it. I will see what I can do. Personally, I think it is weird to press the slide button before landing on a platform. I will do some tests to see if allowing the player to press the down arrow key before touching the ground makes the controls smoother. Looks good, but no download yet you say its released? It's an HTML5 game, so basically, you don't need to download the game, you can play it in your web browser (as long as it supports HTML5 properly). So there will never be any required downloads. When I said "release", I was talking about the demo version. I upload demo versions regularly to get feedbacks. Of course the game is far from being finished yet.